In today’s competitive digital marketing industry, deciding how, where, and sometimes even when, to advertise your brand can be quite daunting. When thinking of advertising online, most digital marketers and business owners will quickly jump to Google AdWords. While this is a sound strategy and an extremely prominent tool, it is not the only one readily available at your disposal. Let’s take a step back and think strategically for a second. Today more than ever, social networking platforms are playing a significant role in our everyday lives, even permeating into the world of business. So why not leverage the power of social media advertising? More specifically why not leverage the power of Facebook? With over 2.3 billion monthly active users, Facebook can offer you substantial reach. With about a fifth of the world’s population being on Facebook, it is highly likely your audience are already active users. Facebook’s targeting and re-targeting capabilities are very flexible, customizable, and effective. If properly utilized, you will find potential new audience members, customers, and even potential leads. 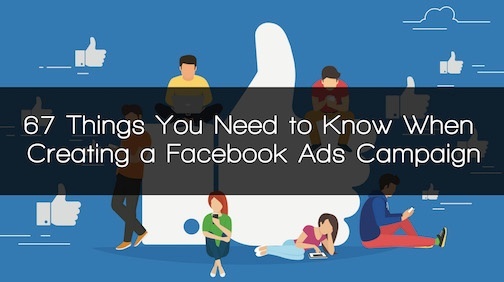 You will be able to leverage the remarketing capabilities Facebook Ads offer in order to effectively “push” uncertain audience further down the sales funnel. Organic reach on Facebook has significantly lost the drive it once had, however despite being a paid ad type, Facebook Ads are much cheaper when compared to other online marketing channels. Facebook Ads are powerful, competing against rivaling tools such as industry giants like Google. 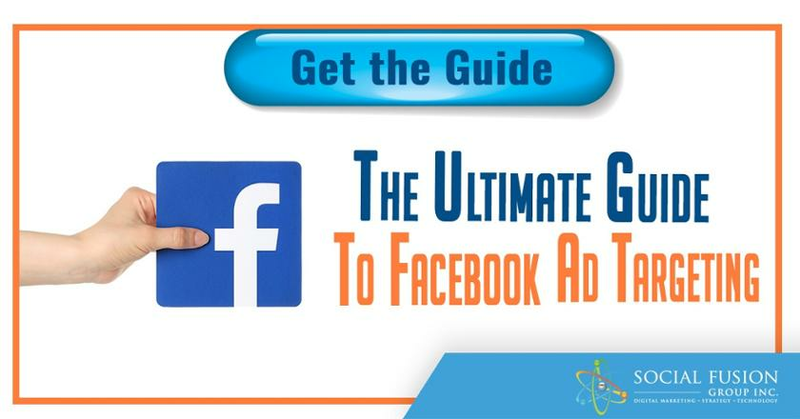 Let’s jump in and explore 67 things you will need to know in order to masterfully create a Facebook Ad Campaign. Before you start your campaign you will be required to choose from a variety of objectives. As with any marketing strategy, it is imperative that you have a clear picture of what you want to accomplish. 1. “Boost your posts” option is recommended for those interested in increasing user engagement and visibility for their content. This is directed to optimizing your posts for comments, likes, and shares, and is not recommended for those who just want to increase traffic to their page. 2. “Promote your page” option is focused on optimizing your content for heightened awareness and likes to your page. You could use this to enhance your reach. 3. “Reach people near your business” focuses on creating local awareness ads. Based on city or zip code, your ad can be shown to local residents and businesses or even people traveling through the area based on the location of their mobile phones. 4. “Brand awareness ads” is a fairly new addition comparatively to other options. It utilizes a combination of reach and relative attention proxy metrics users give to a campaign in order to maximize your audience’s recollection of your campaign. 5. 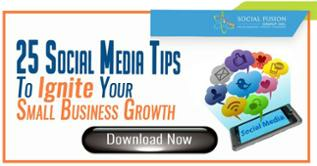 “Increase your reach” is aimed at expanding your presence, reaching new audiences. Use this to maximize your overall impressions and awareness. 6. “Send people to a destination on or off Facebook” objectives are usually used to divert people to your website or blog. Make sure you run such a campaign in unison with campaigns focusing on increasing your engagement or conversion. 7. “Get installs of your app”. Use this option if you have an application you want people to use more often (or just generally use). You can link directly to the relevant install page either within Facebook or any other external platform. 8. “Raise attendance at your event”. Promoting an event page is imperative when trying to raise awareness. It can also be used to create leads/sell tickets by integrating your website properly into the campaign. 9. “Get video views” operate similarly to simple “boost your post” objectives. Such videos can be placed in ads or can be made into native posts that will look like an ordinary paid post to your audience. 10. “Collect leads for your business”. This is perfect for a top of the funnel audience. It feels cohesive to the user experience on Facebook and it can auto-populate with their information avoiding directing them off the platform. 11. “Promote a product catalog”. Dynamic ads and product catalog campaigns have been recently opened to all brands, but using them requires some experience. 12. “Increase conversions to your website”. If you are planning on using such an option, it’s important that you have a good understanding of your CPS/CPA ratio and see if your product can support the cost. Also, such ads work best when running parallel to branding and engagement campaigns. 13. “Get people to claim your offer”. Designed to be implemented during a limited time frame or for a specific offering. Once created, it cannot be edited, so place great attention when creating your offer. 14. Domain ad, right column. This is the simplest type of ad and yield very low costs, however it often under performs in terms of CTR. 15. Page link post, right column, news feed, and mobile. Most common ad type. It is ideal to promote your external website. These ads perform really well and have an additional benefit of generating more likes for your page. Remember to check and reply to comments for engagement boost. 16. Multi-product (carousel), news feed & mobile. Useful for e-commerce advertisers looking to promote multiple products from their store, or for marketers looking to promote different posts and offers to see what works and attracts leads with their audience. Very similar to normal page link post but supports up to 5 products with links showcased. 17. Dynamic product, location, right column, news feed, & mobile. Remarketing display ads. They target users based on past actions (or inaction) on your website or application with a perfectly timed ad. 18. Lead Ads, news feed & mobile. These types of ads don’t require users to leave Facebook to fill out these forms. Good for quickly getting a potential customer’s email address. 19. Canvas, news feed & mobile only. This ad type also keeps users on Facebook as it offers no external links. Potential or previous customers can swipe through a carousel of images, tilt, and zoom the content. 20. Page like, right column, news feed, & mobile. This is the go-to ad for increasing likes. It can be displayed on all placements and will include a visible CTA for users to immediately like your page. It is very important to pick the right image to achieve great performances. It’s not about getting the cheapest likes, but about picking the right audience that’s interested in your page. 21. Page post photo, right column, news feed, & mobile. It is imperative to pick the right images for this type of ad. Links can also be inserted in the text description (this will not contribute to greater traffic). 22. Page post video, right column, news feed, & mobile. This type of ad drives very high engagement. It will also enable you to retarget subsets of visitors based on how much of your video they watched. 23. Page post text, right column, news feed, & mobile. While this ad type functions similar to the previous two mentioned it often under performs. 24. Mobile app, displayed only on mobile news feed. When users click the CTA they will be diverted to the app store. Such ad types deliver great conversion rates and offer a plethora of additional targeting options to fine tune your audience. 25. Desktop app, right column, news feed. As rating and usage are made visible below the main image, be sure to have a positive score or the app may lose its effectiveness with users. Regardless of the type of ad, never focus only on one. Try running multiple ads at once to see which works best for your campaign. 28. 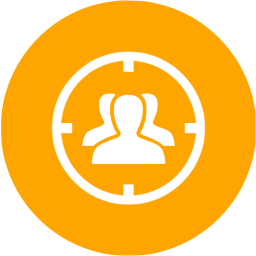 You can target every person that has visited your website. If you are not currently running Facebook Dynamic Ads you might want to extract visitors for the last day. If you want a larger sample you can segment visitors by 90-180 days. 29. Target visitors of specific pages or that have done specific actions on your site. For example, you can target those that added items to a cart but did not finalize a purchase. You may also want to exclude the kinds of customers you do not want to target (like those that recently made a purchase). 30. Utilize email list segments. It is possible to import your existing lists to Facebook. 31. If you do not have a customer’s email you could always utilize information such as telephone number, zip code, location, and other demographic information (such as gender and age) to help grow your targeting segment. 32. Segment visitors based on time spent on your site or blog. People who have spent more time exploring your content are more likely to accept an offer by you or to engage with/build a relationship with your brand. 33. Target people who have shown higher engagement on your organic Facebook page, posts, leads, or videos. This will enable you to combine organic activities with your paid advertising efforts. 34. Go after “lookalike” audiences. Reaching for an audience that has significant similarities to your existing audience will allow you to target new prospect customers. Draw such audience from your CRM lists, those who have engaged with your content or page, or visitors from your website mentioned above. 35. Targeting your Facebook page fans is another good idea as it allows you to communicate your message to people who share an interest in your brand and offerings. 36. You can also target the friends of your fans. However, make sure they share a pain, need, or interest similar to your main audience, you do not want your efforts to be fruitless targeting an audience irrelevant to your message. 37. Focus on user behaviors. Understanding someone’s behavior on Facebook can provide insightful information on formulating distinct promotional strategies. This includes user intent and the preferred device they use to access/consume your content. 38. Segment by user interests. This can include the types of posts and pages they like, the content they post on their timelines, and the apps they prefer using. The interests tab in your manager has a plethora of subcategories helping you increase the precision of your targeting segmentation. 39. Use appropriate demographic information. This might sound obvious but in many instances it is underutilized. The best way to segment by demographics is to import demographic information from audience personas. 40. Use Facebook Retargeting: It is one of the most powerful forms of online display advertising allowing you to target people who have already expressed an active interest in your site or offering. This helps keep your products at the top of customer minds and catches them at appropriate times during their shopping journey. 41. For any targeting or retargeting operations regarding your website, make sure you have Facebook Pixel installed and configured. This will allow you to better monitor visitor activity on your site and will help with integration and organization of targeting activities on specified pages or product IDs. 42. As with any marketing strategy, targeting needs to be precise. Do not try to advertise to everyone, this will not only prove to be a waste of your time and resources, but it may also result to annoyed users and negative comments. 43. Be careful not to limit yourself by targeting too small of a group. For a local campaign 250K is optimal. For a nationwide, you may not want to exceed 3 million. 44. Your bids. The amount you bid shows Facebook how interested/determined you are in showing your ad to your audience comparatively to other brands competing for the same ad space. Automatic bidding is recommended for newcomers unsure of how much to bid. 45. Even if you start off bidding a high amount, you will still end up paying the lowest possible amount in the auction to get your ads delivered. Do not be afraid to be competitive while bidding, but always keep budget allocation in mind. 46. The quality and relevance of your ad. Facebook determines the quality and relevance of your ad based on its performance. Your ad will be shown more than lower quality competing ads. Utilize Facebook’s Relevance Score metric to gauge your ads competence. 47. The estimated action rate. This is essentially a measurement of the likelihood of a person to perform the act you are optimizing your ad for. It is therefore essential to have ideal behavioral targeting configuration, as such measurements are based on previous actions taken by your audience. 48. Your target audience. Trying to reach a target audience that many other marketers are competing for will ultimately yield greater costs. Experimentation with potential target audiences and bidding in order to find the ideal combination of cost and relevance is imperative. 49. Depending on the season and time of year, the competition for certain types of audience and events may increase significantly. Christmas, Thanksgiving, post holiday sales, and New Year’s Eve are just a few of highly competitive periods for marketers. Consider how this will impact the cost of your ads before diving in head first. 50. The placement of your ads. Certain spaces within Facebook yield different prices (and so will competition for those spaces). Facebook will recommend you start utilizing Instagram and the Audience Network, and while these channels may yield significant results you will need to determine if your audience is actually active on these platforms. 51. What your ad is optimized for. Your choice of optimization will influence who Facebook shows your ad to. This option can be found in the advanced options in “Budget& Schedule”. This can affect the cost of your ad since actions taken on your ad will affect your ad’s estimated action rate and relevance score mentioned above. 52. Cost per click (CPC): With CPC you only pay for each user that clicks your ad regardless if they signed up to a landing page or made a purchase. 53. Consider impressions. Costs per mille (CPM) will yield lower prices comparatively to costs per click. This is ideal if you want significant views to your ads. 54. Cost per action (CPA). You only bid on specific action to be taken such as conversion. This option may provide greater ROI in the long run than CPC would. 55. 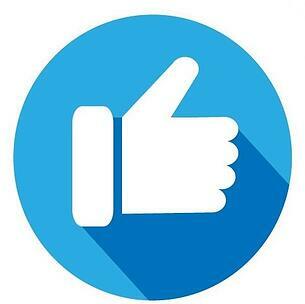 Cost per like (CPL) will only charge you per like you attain from your ad. 56. Always remember; while monitoring your ad spending and costs is important, your main focus should be on acquiring a positive ROI/CPA ratio. 57. Just as with any marketing strategy, eye-catching and enticing headlines are the most competent. Lead with the most important and relevant information and emphasize on punctuation and presentation. 58. Use quality photos. Images are the first thing users see while they scroll Facebook and Instagram. Good resolution, vibrant photos are more likely to grab user attention and will increase changes of engagement. Be cognizant of Facebook’s policies and avoid any kind of violation. 59. Include CTAs and links in your posts. Constantly try to drive your audience toward a specific and desired action. 60. Avoid posting the same ad repetitively. This might ultimately feel like spam and will annoy many of your audience. Try to alter text, images, and even ad types to keep existing fans engaged and potentially attract new fans to your page. 61. Manage the frequency of your posts. The optimum number of ads is 5 posts per day, once this is exceeded actual results may begin to decline, as users will start to tune out your ads. This will ultimately increase CPC and reduce your relevancy score. 62. Keep a lookout for trending topics that are relevant to your brand or offering. If you try to engage in an irrelevant topic it will most definitely lead to a poor representation of your brand. 63. Use engaging language and make posts feel like you are trying to start a conversation with your audience. Do not sound invasive and avoid making your message sound like a sales pitch. 64. Pay attention to what competitors are doing; learn from their success and from their failures. Having said this, avoid mimicking their style and doing exactly what they do. 65. Constantly monitor your progress. See the kinds of ads you have already used and how well they did (or didn’t) do. Test for different audiences, photos, videos, text, and see what is providing the best results. 67. Emphasize greatly on mobile audience. Research has shown that there are more people accessing content on their mobile devices, with percentages increasing since 2013. You now have the knowledge needed effectively utilize Facebook Ads and maximize your strategy for optimal returns. If you have any further questions, let us know in the comments below! Make sure to connect with us on Twitter and Facebook.